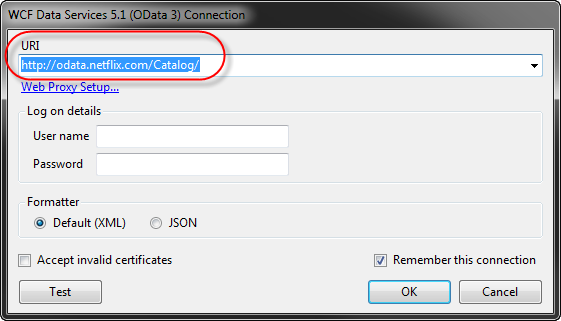 This is going to be a brief post just to get you going with using the free LINQPad tool to query an OData Service. 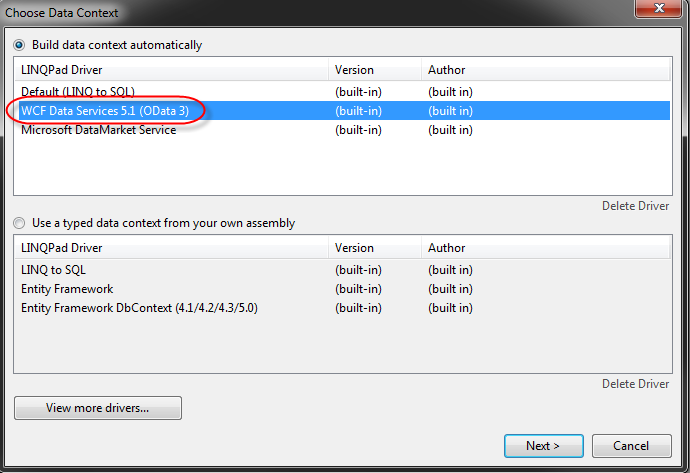 The 1st step is to download LINQPad if you have not already done this from the following link: LINQPad Free Download. Once LINQPad is installed go ahead and open it up and press the 'Add connection' link button in the top left-hand corner. 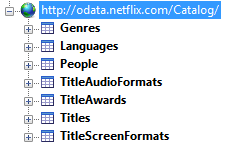 The easist OData service to connect to is the Netflix data service which is exposed at the following URI: http://odata.netflix.com/Catalog/ Enter this value in the URI and leave all of the other fields as their defaults indicate. There is no authentication to access the public catalog of Netflix. Press 'OK'. Take a look at the tree structure built displaying the catalogs available from Netflix. This is how we know the connection was successful. Had we written a LINQ query instead of a lambda expression, we would be able to press the lambda button to then reverse engineer the lambda expression from the LINQ query we wrote in the window. There is other functionality like viewing the IL as well. 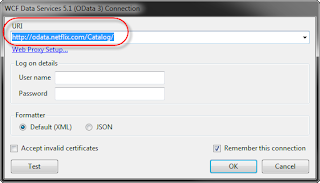 I need to join 2 service and pull data using LINQ, is there way using linqpad to generate query? or if tehre is any approach let me know. LINQPAD will not let you connect to ODATA services in the same query window. You'll need to write a C# program.